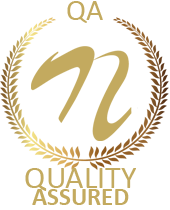 Automatic switching system are nowadays very popular in domestic as well as industrial scenario. In this project we have a DC fan connected to the system. 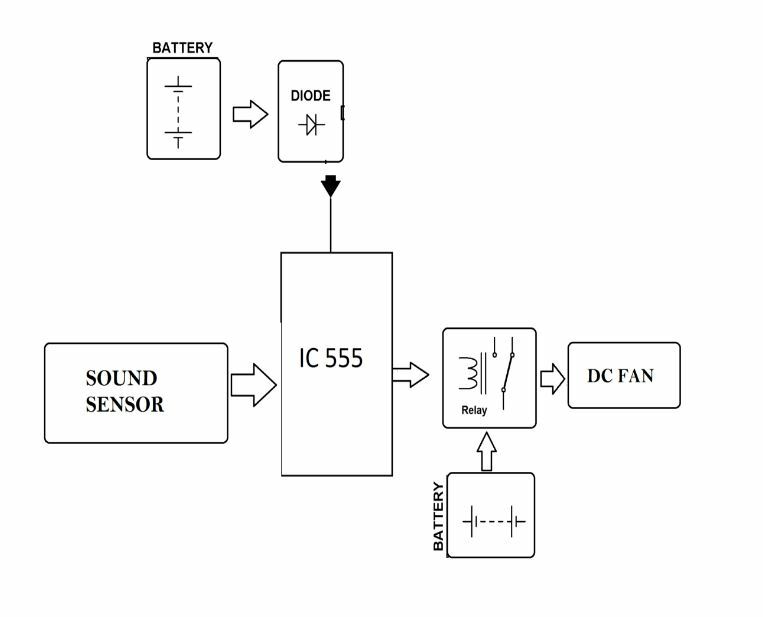 The system is configured in such a way that by a particular action of the user ‘Clapping’ can cause the Fan to start and remain ON for a limited period of time.We have mic that acts as a transducer. This transducer converts the sound energy in its vicinity to electrical pulses. These pulses are amplified and given to 555 timer controller. If someone claps near the mic of the system the above stated series of events get triggered. This leads to turning ON of the Fan. 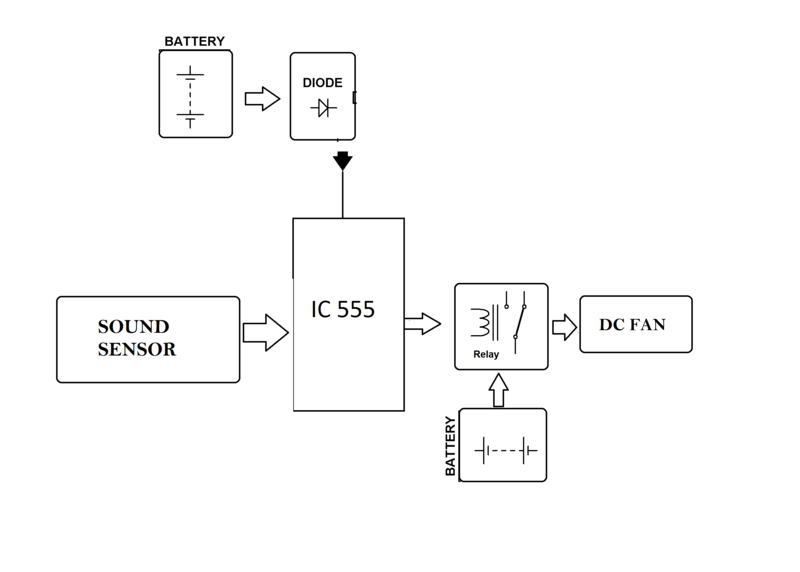 Due to the timing configuration set in the 555 timer the Fan remains ON for a stipulated period of time. 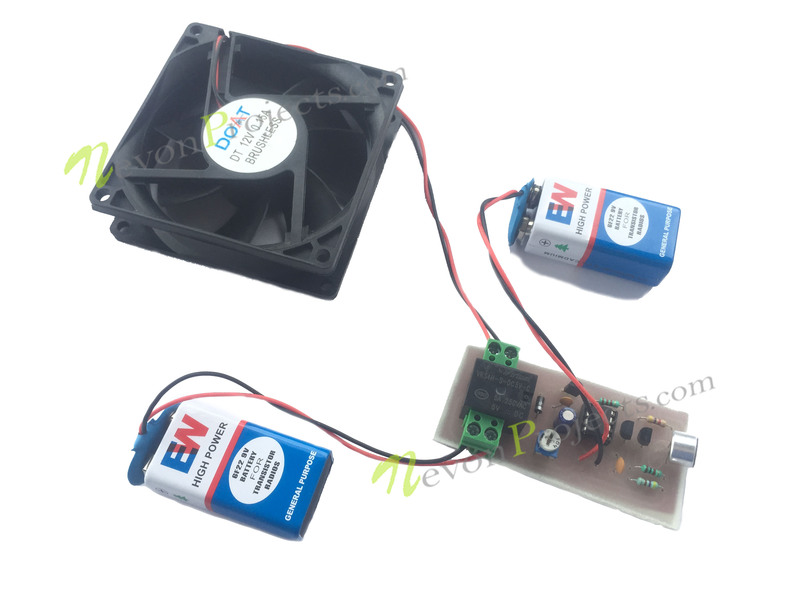 After that period the Fan turns OFF and waits for the next clap from the user.The Mic is biased in to the circuit in such a way that it doesn’t picks up noise signals from the ambience. These electrical converted audio samples are amplified from an amplifier stage. Once the received sample has a voltage level enough to trigger the 555 timer, the Fan turns ON. Due to the mono stable configuration of the timer the Fan remains ON only for a stipulated period of time. After this time passes the Fan turns OFF and waits for the next pulse from the Mic.